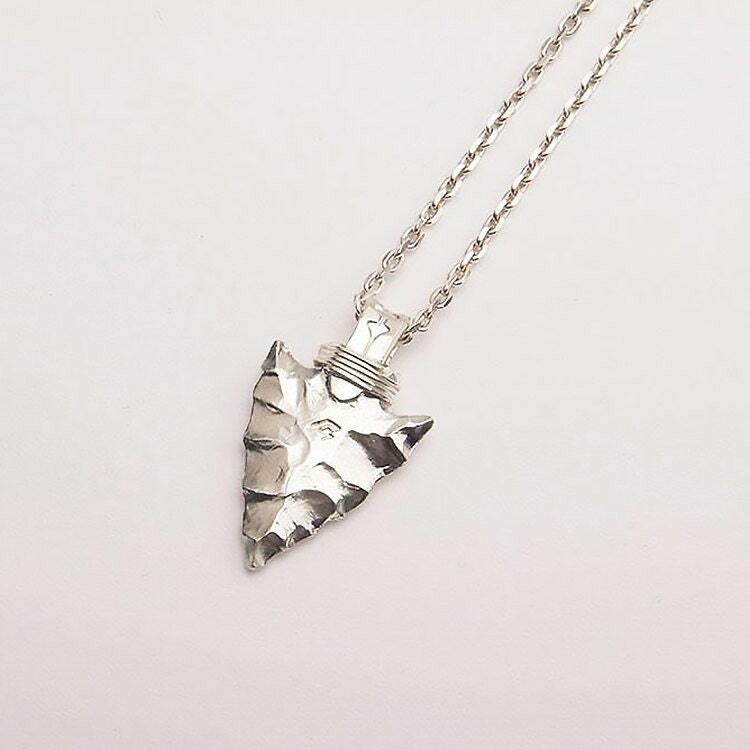 The arrowhead necklace is inspired by the Native American culture. 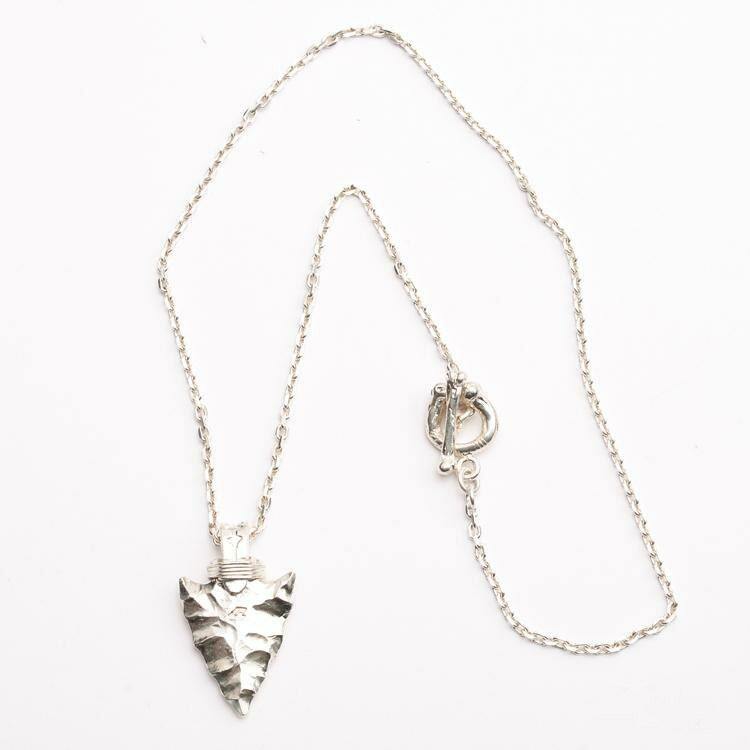 It proudly displays a replica of the early age arrowhead made of stones. 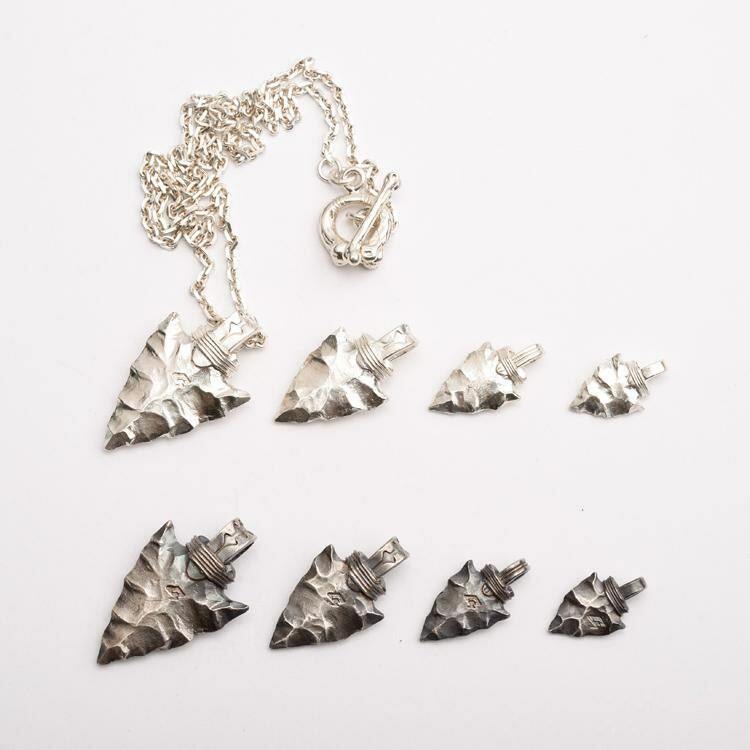 The hammered, rough texture of the silver arrow head reflects the handmade ethos of the arrow making history. The earliest arrowheads were chipped out of hard stones, and then tied to a shaft. 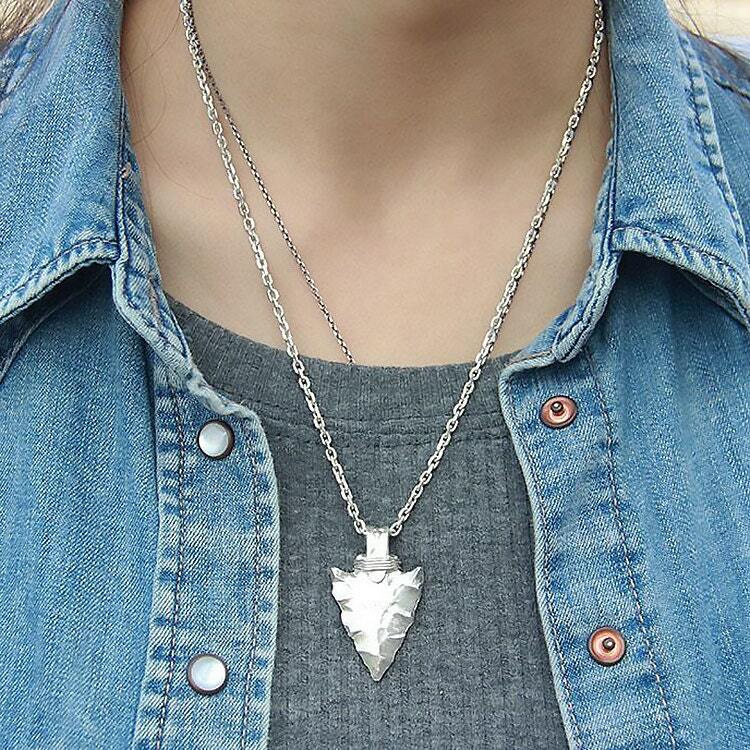 In the Native American lore, the arrowhead is a symbol of alertness. 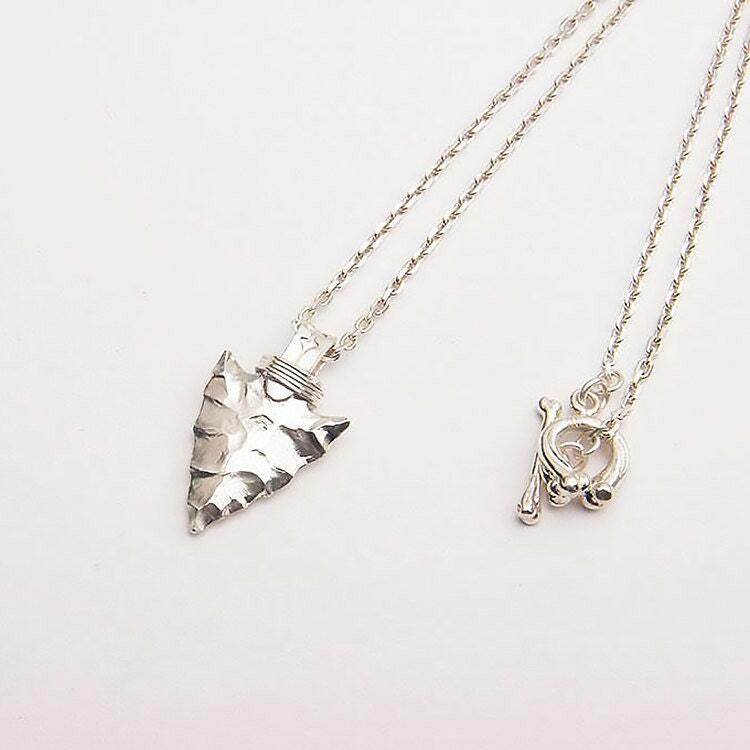 The silver arrow head pendant is one solid chunk of silver, that is hammered and shaped into a likeness of the stone arrowheads used by early Indians. Available in four different sizes - S, M, L, and XL. The arrow pendants are available in two different finishes - the original, shiny silver finish, and the oxidized, vintage finish. It hangs in a thin silver chain that closes with a stylized toggle clasp of small silver bones. Chain Length Options: 45cm/17.7inch, 50cm/19.7inch, 55cm/21.7inch, 60cm/23.6inch.